This is a cruiser tire with some performance built right into it. 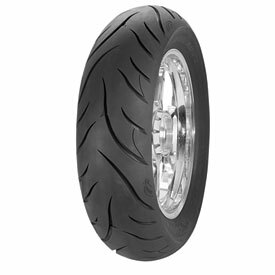 The Avon Cobra AV72 Rear Motorcycle Tire features a sport influenced tread pattern that is comfortable and quiet in the straight line and yet more than capable in the corners. Great tire for touring bikes as well, the Cobra makes for an excellent balance of mileage and riding enjoyment. 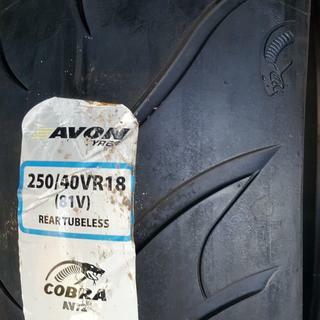 Avon Cobra AV72 motorcycle tires are aimed at the power cruiser/custom market. Incorporates sports motorcycle tire technology for nimble handling. Special Avon motorcycle tire construction to deal with heavy loads. Incredible stability and longevity – perfect for motorcycle touring. Unique ‘snakeskin-effect’ sidewall and aggressive motorcycle tire tread pattern. 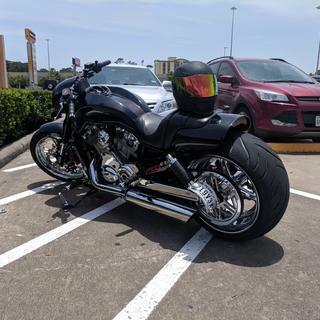 Extra wide motorcycle tire sizes for custom motorcycles. I have rode for over 40 years and have tried many tire brands. I have always got my best mileage from Avon. instead of 5 thousand from other brands, I have gotten as many as 8 thousand from Avon. I would recommend you give them a try. This is my third Cobra, it has excellent traction is a well balanced tire with long life. I used this tire on 2008 Yamaha Stratoliner and was very disappointed that this tire lasted only 6,500 miles. Tires are awesome, cant say enough about how great they are. Completely changes the bike when you put these on. 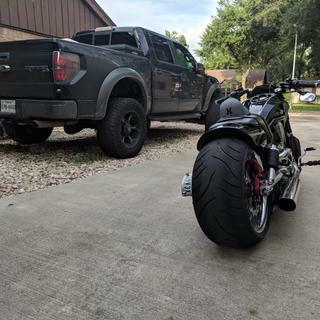 I cant really say too much about mileage as the last bike I put them on I traded for the current one it was an 07 VRSCD and I put over 3500 miles on them and they still looked great. I have tried different rear tires but none compare to avons for handling twisted roads, wet or dry. Wish I could get more miles but that's the trade off for good traction I quess. Tried the E4s and got less miles and didn't handle as good. I would recommend this tire especially for aggressive riders. love it. great ride. much better than the 880s or MC2 I had previously. Awesome. Avon’s from RM ATV saved $s & will actually save my life. Same as the front Avon tire I received from RM ATV. Awesome. Grip is by far more noticeable than the Dunlop 3, especially in wet weather. Rear Avon tire. Love it! Very awesome tire... my buddy got a brand new metzler for his bike at the same time I got mine. Mine came with twice the tread depth that his had. Great tires at a great price. Nice tread patterns and look great. You wont be sorry purchasing this tire. I would highly recommend this tire. So far it has shown no unusual wear. So far so good! I enjoy the profile of the tire, and it give my Victory a little more agility. Just waiting to see how long this tire lasts. I like the tread pattern and how good it handles on wet pavement. The wear is still not something i'm sure of I've only put 800 miles on it. I've had my Avon Cobra rear tire on for four years now. I have about 8,000 miles on them and plenty of tread life left in it. Great performance, and quiet. Will definitely buy again, just got one for my front and anxious to see how that matched set does. Great price for this tire. Product is exactly what I wanted and accurate description. I am impressed so far, In 5 days I put 1200 miles on the tire one week after mounting it. I was riding in 123 degrees in southern NV and the tire hardly shows any wear. One tip you should know... When people tell you "don't ride to Laughlin NV from June to September LISTEN TO THEM! Hahaha! Only rode 100 on them so far but they handle great. I will see if i get better than the 3500 miles i usually get out of the metzlers. Not one of Avon's better-made tires. I've used Avon tires for years, this is the worst I've ever seen. Pretty sloppy looking with all kinds of excess "rubber" on it from the assembly process. It took almost three ounces to balance it. That's a lot of balancing weights. The shop that mounted and balanced it told me that if that if they had to add. 25 ounce more of weight they would have considered the tire defective. I'm very disappointed in my first Avon Cobra tire. As for Rocky Mountain ATV/MC themselves they're great. Fast shipping, great customer service., great fire prices. They offered to replace the tire at no charge to me. I can't give the tire any other rating nor recommend it as I have never ridden on it. I will be exchanging it. Wow it's really the best deal out there on this tire. Beat everyone's prices. Great tire. Second set. Great grip. Awesome performance. Corners good. IMO Avon Cobra II cruiser tires are the best. Now I have found the best place to get them from. Best prices and fast free shipping. Life is good! Purchased for 1984 Goldwing Aspencade 1200. So far so good. See how it is after a few months. Good price and fast shipping as usual. there was no identifier showing the heavy part of the tire prior to mounting which helps reduce too much weight when balanced. 2001 HONDA Valkyrie Interstate GL15CFX rear tire. Don't know what to expect for tread life, but it grips the road great. 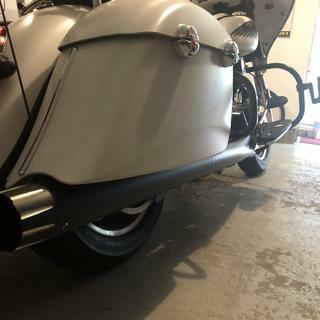 I ride year round and it rides and grips well in cold weather. The handling is very nice. They do not roar when making turns like the Dunlops did. Lots of rubber, so hoping for good life on them. Will update after a few thousand miles. RockyMountain support was great in helping make decision. What can i say, the tire handles well, it was competitively priced and it looks cool with the Cobra burned into the side of it. I have Cobra's front and rear. I put this 240 Cobra on my Triumph Rocket Roadster and it made a huge difference in traction and handling. It grips too good. I had a Metzler on the back and it would spin and lose traction every time I tried to pull a hole shot. The Cobra is the best tire I have had on this bike to date. Tire sticks very well. No complaints. Time will tell on wear but for now its seems great. This tire really grabs the road. Good handling tire. Tread on tire does not last long. Only got 2 months out of it. Will not buy again. Bought and installed this tire in April 2016 on '98 Valkyrie Tourer. I have give or take, about 5k miles on this tire. I also religiously check and maintain my tire pressure between 44-45 PSI on the rear. Tire is badly cupped and the center is down to the wear indicators. Seriously, 5k miles only???? I am done with Avon Cobra rear tires and going back to a CT! 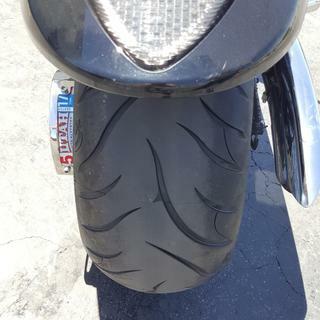 I just got this tire last week put on my 2014 yamaha bolt. 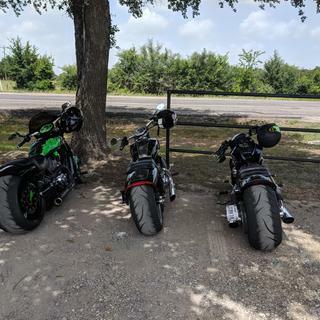 I looked up low and means custom bikes to see how big they could go with the custom wheels stock is 150/65/16 from what i found out is you can go as big as 180/65/16 and i did. So far I've driven about 300 miles on it and i love it, i handle, corner much better now and i don't peg as often. also shipping was fast. Will this tire fit a 18x5 wheel ? BEST ANSWER: Yes, a size like the 150/70B-18 would be suitable to fit on that size wheel. Is the Avon Cobra AV71 (130-80-B17) & AV72 (180-65-B16) in stock? Is it possible to give a mfg date? BEST ANSWER: Yes, both of these size are in stock. As for the manufacture date we have many of these tires in stock and are unable to guarantee an exact date of the tire that is being shipped to you, especially since we have 2 warehouses that these tires would ship from. All the tires we sell are going to be in new condition and they are stored in a controlled environment so that they do not age. do you have this tire in wide white wall ? BEST ANSWER: Yes, we do. I've attached the link to it below.